It’s a brutal irony that the very prescription drugs you need to stay healthy can sometimes be exceedingly dangerous. Because so many of today’s prescription drugs are so powerful, getting the wrong drug can have drastic results. Prescription drug errors are actually on the rise—despite programs meant to reduce them. A big part of the problem is the prescribing process. While it’s true that patients often make mistakes in the amounts and times they take their medication, doctors and other healthcare providers can also make mistakes when they dish out medications to patients. This is especially so when it comes to seniors, who are often over- (or under-) prescribed medications for any number of health conditions. This problem has become large enough that it’s been given a name: “Potentially Inappropriate Prescribing,” or PIP. PIP is as prevalent as it is in part because many seniors suffer from multiple conditions at one time, which often means multiple medications. The possibility for error increases exponentially as different health conditions are treated with different drugs at the same time. 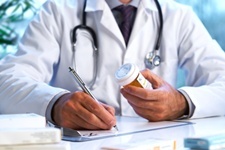 A system—named “STOPP/START”—was subsequently developed to help identify prescribing errors. Made up of two programs that are screening tools for inappropriate prescribing detection in the elderly, STOPP/START was intended to reduce prescription errors. A research team recently evaluated the performance of STOPP/START to determine if it’s actually helping. The study aimed to assess whether or not the application of STOPP/START by pharmacists would reduce the level of PIP in elderly patients residing in a nursing home. The three most consistently reported prescribing errors were wrong time, omission, and wrong dosage. Talk to your doctor, and be aware of the guidelines for the medication you’re taking. Medication needs to be taken at the right time, and for the correct length of time. You also need to work with your doctor to make sure you’re getting the medication you need during a health crisis. As for dosage—check the medication’s label when you bring it home from the pharmacist. If anything seems out of place, or if you’re unsure, contact your doctor or the pharmacy for verification. The same holds true for side effects—contact a healthcare professional if a medication causes unusual symptoms. For advice on how to develop a good relationship with your doctor—another key component of getting quality health care in times of illness—read the article How to Make a Good Impression on Your Doctor. Di Mario, M., et al., “Inappropriate Prescribing in the Elderly—an Audit of Elderly Patients in Long Term Care Facilities,” Pharmacoepidemiol Drug Saf. July 2012; 21(7): 788-798.